Are you an adventuring family or a stay-at-home-and-get-stuff-done family? I sometimes fall into the latter category (I love my to-do lists! ), but whenever I muster up the energy to take my children on an adventure, I never regret it. We seem to grow closer to each other and make more lasting memories when we discover the world together. 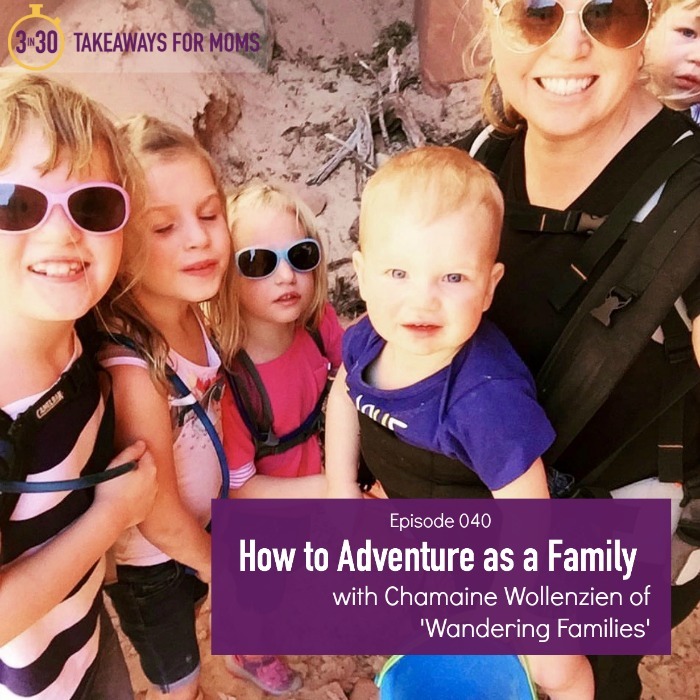 On today’s episode, Chamaine Wallenzein, the found of Wandering Families and a mother of five young children, gives us practical tips and tricks for how and why to adventure with our families. And if you’re not a hiker or camper, don’t worry–this episode is still for you! Chamaine and I discuss how an adventure is any type of shared experience that is out of the ordinary–and you can totally tailor that according to your family culture! Listen in to this wise and spunky mama, and be inspired to build in more opportunities for connection and memories with your family!